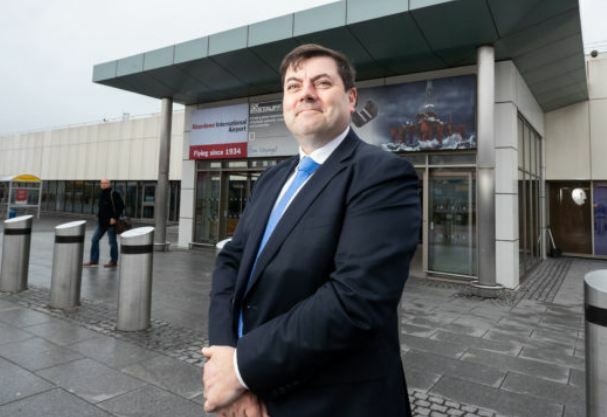 Aberdeen airport has today announced its new managing director. Mr Szalay will work closely with Derek Provan, chief executive of Aberdeen’s parent company AGS. The airport is currently in the third and final phase of its terminal transformation programme. Derek Provan said: “Over the course of the past three months we conducted an extensive recruitment process to identify the right individual to take Aberdeen International Airport forward. Mr Szalay said: “I’m relishing the opportunity of leading a business that plays such an important role in supporting the connectivity and success of the north-east. The airport is committed to delivering for the Aberdeen region and I am joining at what is clearly an exciting time for the business. Both roles saw Mr Szalay work across a number of airports including Heathrow and Gatwick. He will officially take up his position at Aberdeen International Airport next Tuesday.